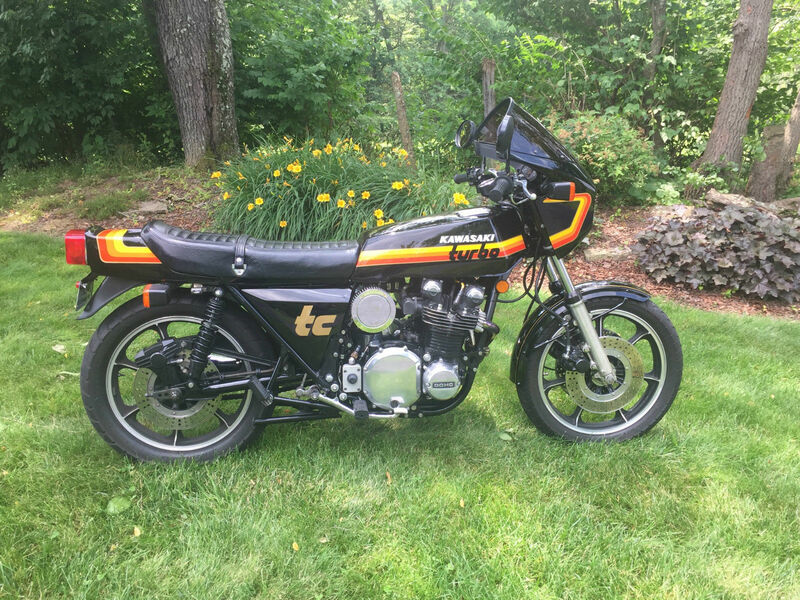 There are some motorcycles which the seller has to go into great detail to insure that the potential buyers know what is being offer. There are other auctions which do not require a lot of words. 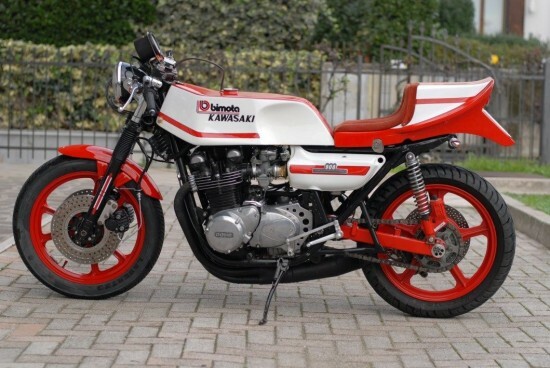 This 1973 Kawasaki Z1 Bimota is such a bike. Pictures do all the selling. Kawasaki Z1 kit Bimota. Extremely rare less than 50 pcs produced. This is not a replica. Bike run very good and is in very good conditions. Now this bike is being offered from a seller in Italy, and they may not feel comfortable giving a description of a bike in a language that may not be their first language. But then it is a Bimoto frame rapped around a Kawasaki Z1 motor. 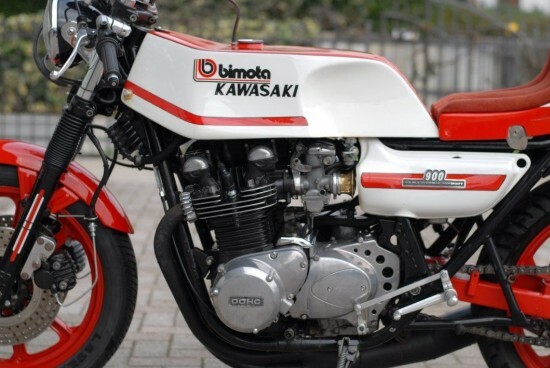 Kawasaki was beaten to the punch by Honda and the CB750, but they went back to the drawing board, upped the anti by 1 cylinder and 150cc. 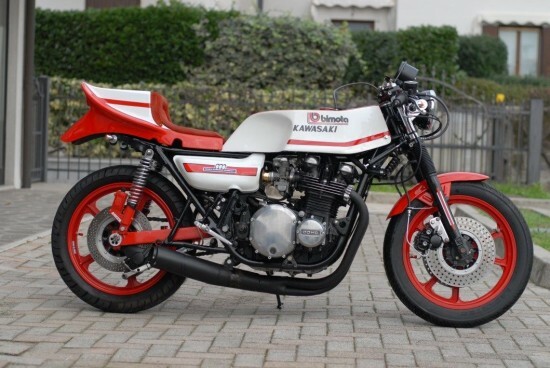 82bhp and a top speed of 130mph insured that the Z1 would not get pushed to the side by the first on the scene CB750. Wrapping up the Z1 is a frame by this small company name Bimota. First coming to the scene in the early 1970’s, the founders believed that the great engines that were being developed by major manufactures were being let down by their frame departments. So these three guys, BIanchi, MOrri, TAmburini, designed frames for Suzuki, Honda and Kawasaki. Later Ducati and Yamahas were added. Bimota made/makes parts for the kz. The swing arm looks like the bimota one. 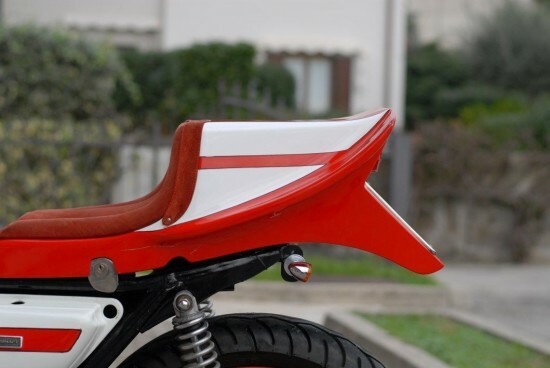 There are several copies of the bimota body pieces. I have a set myself that were made in 1979. 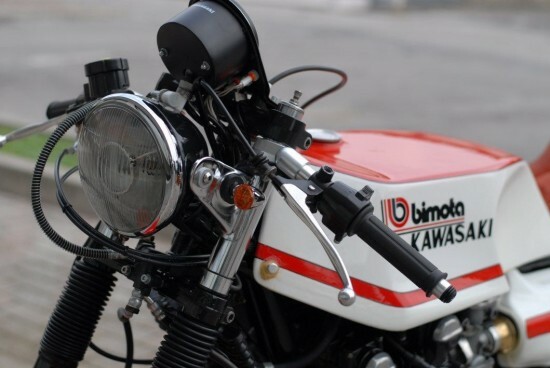 It’s hard to say what is bimota original. I don’t know anything about the bimota frames. 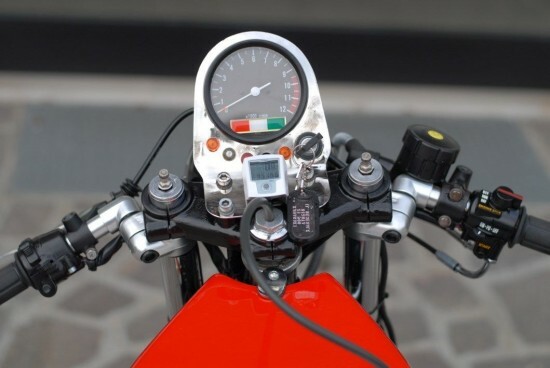 I know they made bimota gauges which this bike doesn’t have.